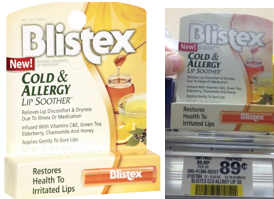 Use your Blistex Coupon from the 1/20 SS Insert and get Blistex Cold & Allergy Lip Balm for only $0.19 at Publix (if your store doubles). It is regularly priced at $0.89. Check out the rest of the Publix Coupon Match ups for this week to get all the best deals!